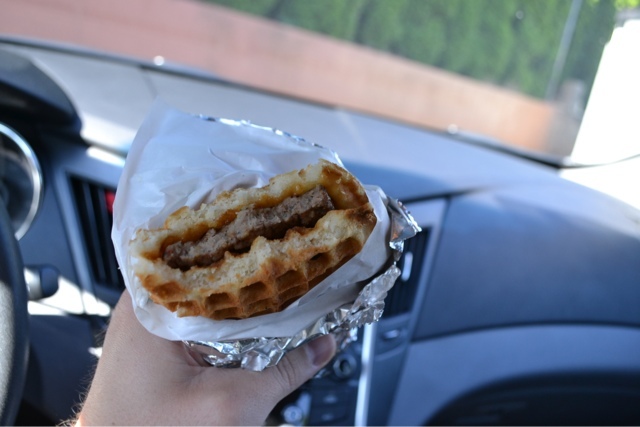 That there is a waffle, sausage, & maple breakfast sandwich. It was heavenly. 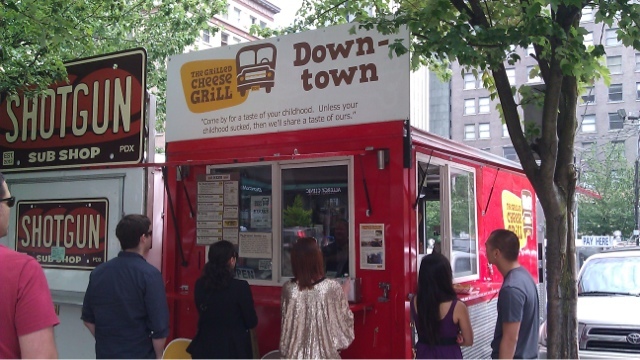 Here in Portland a whole lot of people sell food out of food trucks. This little place ("Flavour") is appropriately at the corner of N. Lombard and N. Boston...which is kind of funny because there really isn't much of a "North Boston" in actuality. At least, not of the Boston in Massachusetts. I've seen a few funny uses of Boston in my travels thus far. There is a chain called "Boston Pizza". We saw franchises twice, once in Canada and another somewhere else that I'm forgetting. I had no clue Boston was especially known for its pizza. Could have fooled me. I stayed the last two nights in the home of Nick, Mandy, Dom, Eli, & Mia Mucci, where the weather is cool, the sun is bright, and the food is scrumptiously healthy. Nick and I went to college together. He gave me a concussion once. For real. And we went through a lot of other awesome things together. 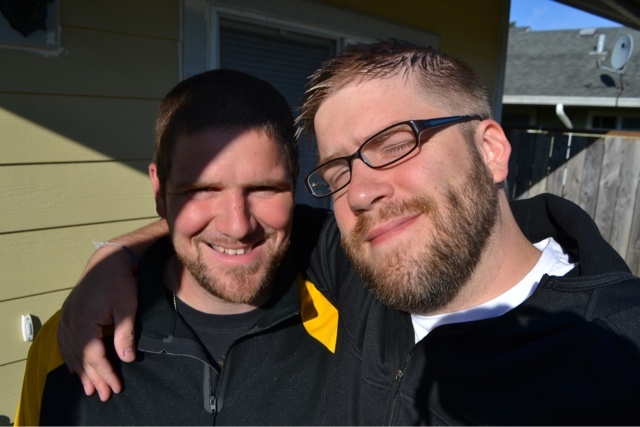 The Muccis are an incredible family doing the work of the Lord, particularly through hospitality, mentoring/discipling, and doing whatever they can to live Jesus in their neighborhood and community. 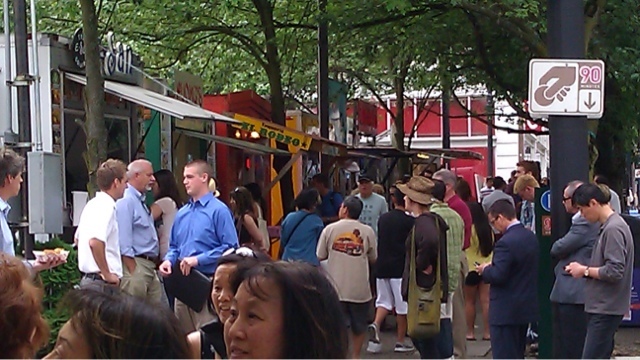 Yesterday, we all went to downtown Portland and had lunch at one of the major food truck markets there. My grilled cheese sandwich yesterday was as scrumptious as my waffle sandwich today. I decided to forego the "Original Cheesus", settling for the "Moondog" or some such thing, leaving the eating of Christ for shared moments of communion. At the moment I'm sitting in The Living Room, which is the community space of Adsideo Community. It's a great space open to the Sellwood neighborhood of Portland. They worship here together on Sundays as well. I hope to join them in the morning. Already I've been challenged by the community here. I have a lot to think about. On the drive here from North Portland, I was surfing the radio channels. Boston doesn't have much Christian radio, certainly not on the FM waves. When I lived in Kansas City, I'd often tune to the Christian stations, mostly to argue with what I was hearing. I was after all, in seminary, and *needed* to show someone how impressive I was in what I was learning, even if it was my own head. In more recent times when I've heard "Christian" preaching on the radio I've tried to tone down my know-it-all seminarian ways and listen a bit more. What I've learned is that God works in a whole variety of ways. Much of what I hear on the radio seems rather junkish...but God works through such things. I guess we call that grace. The two times I've tuned in during the last 48 hours I've been challenged, even though the speakers were hardly speaking from a Wesleyan-Arminian perspective and used tactics that I cringe at. This morning, I happened to turn a message on as the preceding gospel reading was just finishing. Some guy I'd never heard of before began speaking about "play." It turns out that Father Cedric is originally from Massachusetts. Go figure. I have never heard of him before and I certainly didn't jive with all that he said, but God surely spoke through his recorded message to me this morning. First - "Invite God into your play"
One of the things I think we struggle with in understanding sabbath is just exactly what it entails. Is it rest? Is it active recreation? Is is unproductivity? Is it productivity through unproductivity? More practically, does taking a nap really count? Do I have to be sitting on a beach in Maui or Vermont? Must I be on a mountain as Jesus always seemed to be? Is worship involved? How did "the sabbath" become Sunday? Should we go through the work of getting all dressed up, prim & proper, if it feels like work and not rest? And so on...just what exactly does sabbath entail? I've often felt guilty at some of the things I've considered to be sabbath-practice, mostly because the world implies a certain kind of necessity of production that can be easily measured, usually in some kind of denotable increase. Well the results - that is, the production - of the Kingdom aren't exactly always so easily measured. We need to keep this in mind when assessing the worthiness of ANY Kingdom work, including that of sabbath-keeping. Father Cedric's instruction to "invite God into your play" is one way to help keep sabbath-keeping intentional. Can you invite God to speak to you in what you are doing? And don't dismiss some things quickly. Consider it. Fr. Cedric even used the example of doing a crossword puzzle - ask God to help you discover that elusive answer. While seemingly a bit of a stretch, if you're going to do crossword puzzles at all, why wouldn't you invite God into the process? 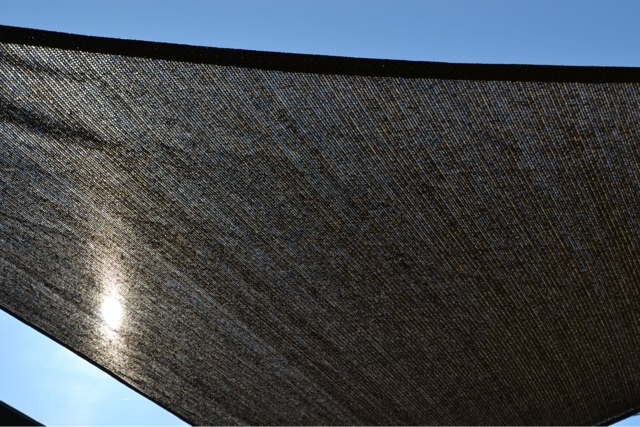 This opens up all sorts of possibilities: Into what should we, can we, invite God? And if the answer to any given situation is "No, I cannot invite God into this," then why do it? I can invite God into the play-time with my children (indeed, God's already there!). I can invite God into my nap time: "Dear Lord, may this time be a sabbath rest." I can invite God into the game of basketball I am playing: "God, help me to display myself with Christ-like decorum...and forgiveness!" I can invite God into anything I'm doing. Or I shouldn't do it at all. Second - "Mix the amount of your play well." or else, having too much, you will vomit it." I need to hear this. As "busy" as I am, I can easily make excuses to procrastinate via simply labeling something "sabbath-keeping". The key is to invite God in, and if the Spirit is leading me to do else-wise...then listen. Is God able to work in me through this activity? 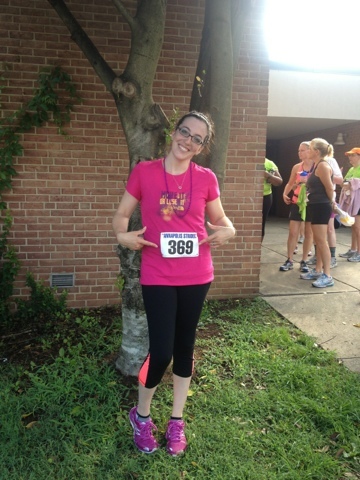 In other news, on the opposite side of the continent, Meghan ran her first 5K this morning. She killed it. 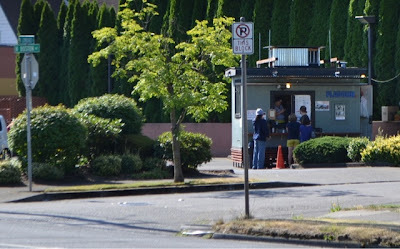 I run one tomorrow evening out here in Portland before beginning to head south.